Last week I posted some patterns for newborns. Today I have 2 simple men’s beanies for charity. These beginner-friendly crochet hat patterns work up quickly, and are great for donating to hospitals, and shelters. Because they use a small amount of yarn, you could probably add these to your stash-buster pattern list. 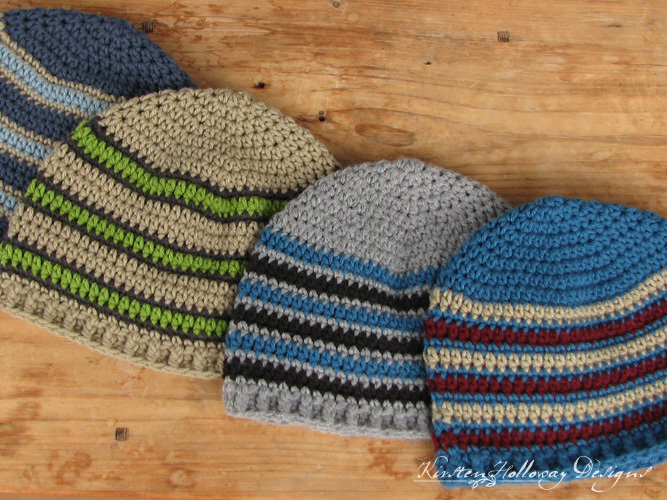 Each hat calls for 3 different colors of yarn. I used Caron’s One Pound, and Red Heart Super Saver yarn for these, but any worsted weight yarn will work just as well. I also used a half double crochet stitch so they are warm for winter weather, yet quick enough to crochet in an evening. These hats should be large enough to fit a 23-24″ head with ease. Adjust your hook size if needed. 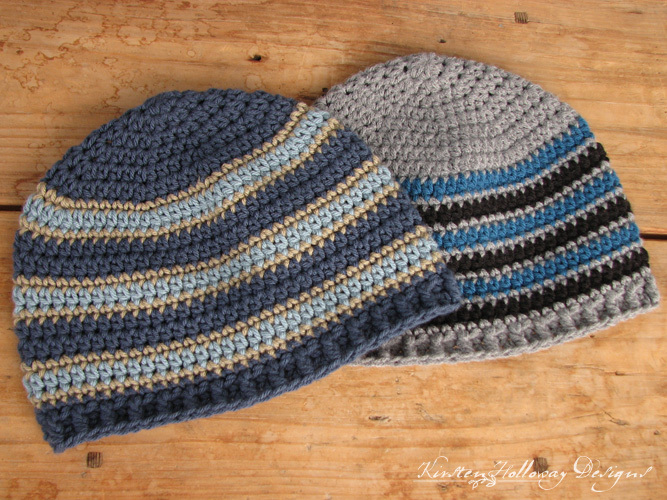 Looking for another simple crochet beanie pattern? Click here for the Cherry Stripe Beanie. You can also find me on Facebook, Pinterest, and Instagram. -The colors are carried down inside of the hat, instead of cutting each round, that way there’s not as many ends to weave in later. This hat should fit a full grown man. If you crochet tightly, try going up a hook size. Rounds 21-22: ch 1, alternate 1 FPhdc, 1 BPhdc around, seamlessly join to 1st FPhdc. See video tutorial in the first hat pattern. 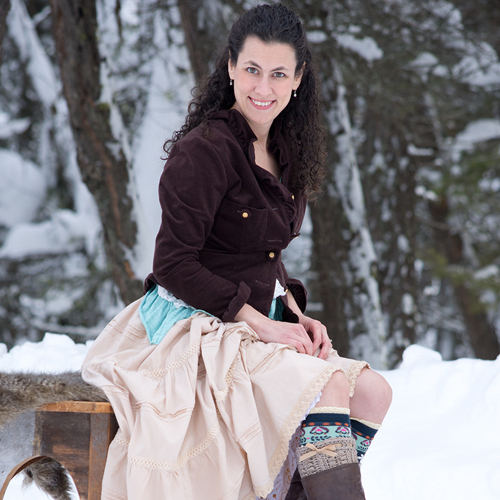 Friends, if you enjoyed this pattern, don’t forget to sign up for my newsletter here! That way you’ll never miss out on special events, or freebies I’m offering. How would you make this with bulky yarn? You could try taking out an increase round or two and leave off the bottom stripe, and see how that works. It was designed to be a big hat even using worsted weight yarn, so I’m not sure how it will turn out when using #5 yarn. You are awesome to allow the pic and to include a small business. Thank you. I have a booth in an antique mall. Is that okay too? Do you cut the yarn at each color change or carry it on the wrong side?